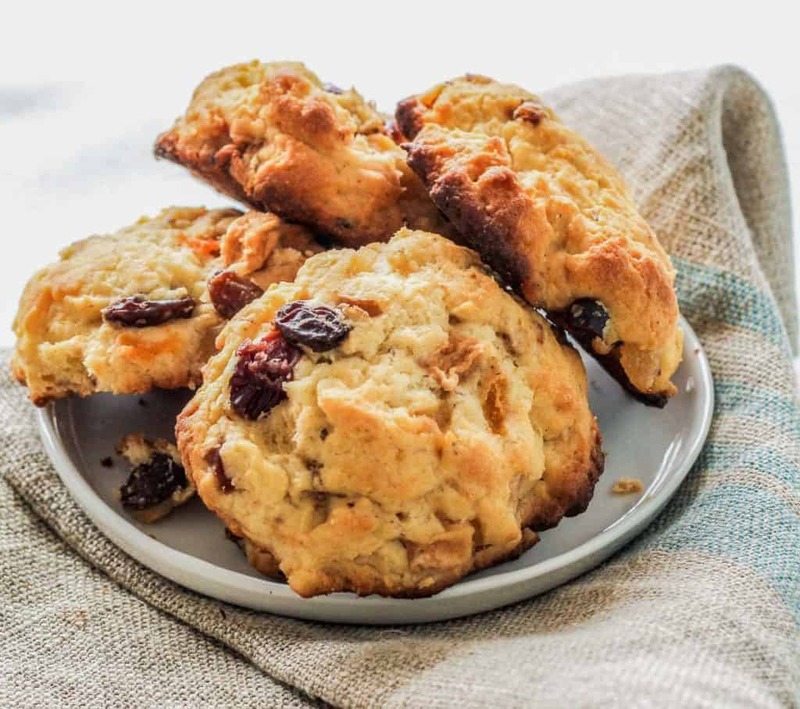 Use some low sugar dried fruit or fresh berries and Carbquick to make a low carb scuffins–a cross between a low carb scones and low carb muffins that are sure to satisfy your sweet craving. These scuffins are light, moist, and tasty. I love fruitcake. I mean, I LOVE fruitcake. TBH though, I love all cake, and that’s part of my problem. While I have several low carb cake recipes, I was really craving a fruitcake. Now let me say this: these do not taste like fruitcake. These scuffins just taste good. 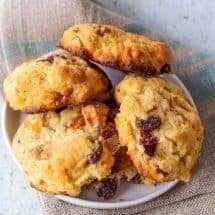 One day I will make a proper low carb fruitcake, but for today, this is what we have, these low carb scones or Carbquick Scuffins. 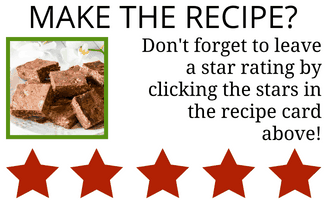 But in my desire to create a low carb fruitcake, I stumbled into this recipe as Alex and I were playing about in the kitchen. I created it, and Alex baked them, with a little help from me, and the result of this joint effort was a nice little cross between scones and muffins. They’re too moist to be scones and not wet and sugary enough to be muffins. Hence, scuffins. They taste like sweet American biscuits—with fruit in them. I would slather lots of butter on them and enjoy them that way while hot. The next day, we toasted them and they were fantastic that way as well. 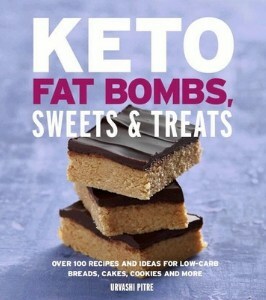 It’s kinda hard to go wrong with these low carb scones or scuffins if you ask me. 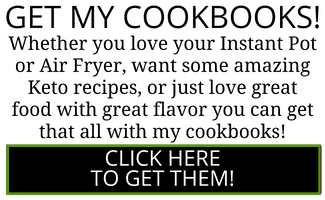 You will need to get Carbquick flour to make these with. I do not know of a substitute for that. If you do, please let me know. I also don’t know how to account for the fact that the initial wash, soak, and drain steps get rid of all the added sugar. The recipe may have fewer carbs than I state on the nutrition label. 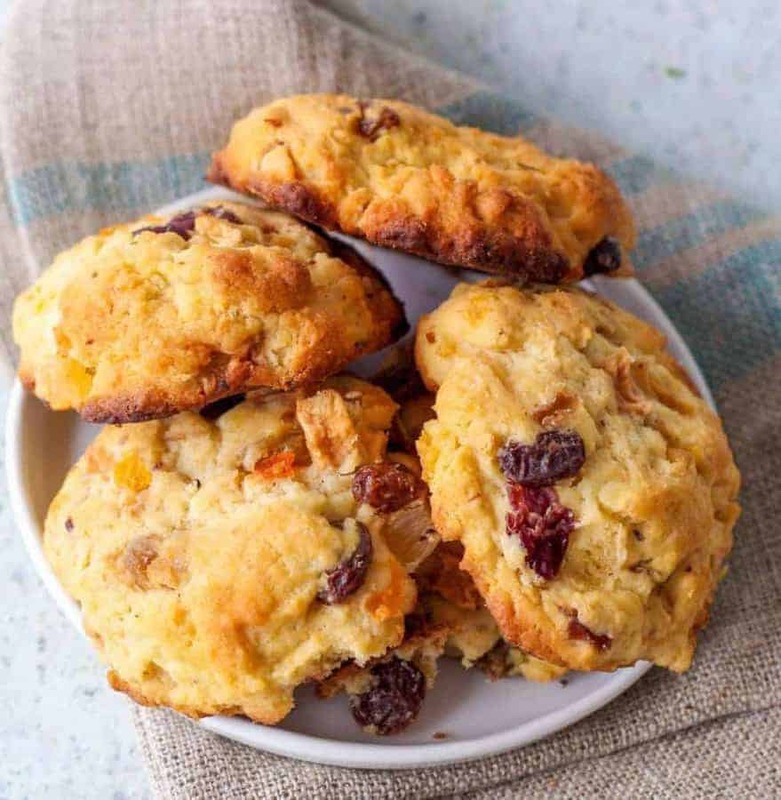 Use some low sugar dried fruit and Carbquick to make a low carb scuffins--a cross between a low carb scones and low carb muffins that are sure to satisfy your sweet craving. These scuffins are light, moist, and tasty. Soak one cup of mixed fruit (very little to no sugar added) in 2 cups of hot water for 30 minutes. Drain the water and add fresh hot water and cover for another 30 minutes. You are doing this to get rid of any sugar added to the fruit, and also to rehydrate the dried fruit. Using a strainer, allow the fruit to drain for 15 minutes. If using fresh fruit, skip this step. While the fruit drains and the oven preheats use a pastry cutter to cut butter into the Carbquik. 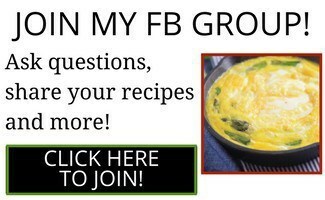 In a separate bowl, mix egg, 1/2 cup heavy cream, almond essence and sugar substitute. Add to dry mixture, and mix until well blended. Fold in rehydrated mixed fruit or fresh berries. Form into 12 balls and place on a greased cookie sheet. Push down to flatten slightly and neaten edges. Bake at 375 for 15-20 minutes until the tops are browned and a toothpick inserted inside is clean. I do not know how to account for the sugar being washed out of the fruit so this recipe may have fewer carbs than indicated if you follow the wash and drain steps I ask for. If you use fresh berries, please recalculate macros.